Hey Hey Hey!! We are already in September, which means the end of Summer is approaching and Fall is almost here. I have a love/hate relationship with September! I love September, because it's my birthday month. Although, I'm not too sure that I really want to celebrate getting older. I also love September because it is the start of Fall which is my favorite month. September has the perfect weather too. On the other hand, I really dislike September because that means my Summer of being off is almost over, and I have to head back to work! Summer is my second favorite month! I love the beach and being off with my family! Either way you look at it, there are good and bad things about this month, but that's how all things in life are, right? I am grateful for all the good that this Summer has brought, even the hard stuff, and I am so ready for what lies ahead in this upcoming season. As I look ahead in September, I know that I am going to be super busy this month. It's back to work/school time and I will be super busy. What does this mean for my blog? Unfortunately, only one post this month. No worries though, because it's a gonna be a big one!! It will be the last post for the series, Creating Your Nest, with lots of decorating ideas and an awesome giveaway! Be sure to look for the post around the middle of the month! I will be back in October for the Write 31 Days Challenge! I did this last year and enjoyed it so much! I can't wait for you to see my topic for the month. It will be a lot of hard work and writing, but I am up for the challenge! I leave you with a word of encouragement as you move into this new month and season! 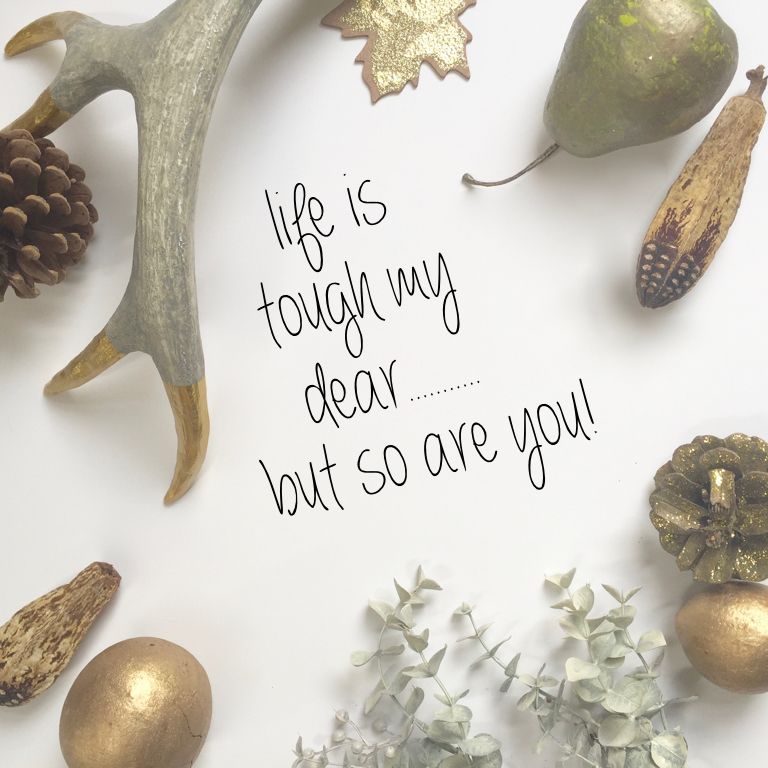 Life is tough, but the hard stuff makes us who we are and strengthens our faith. Whatever life throws at you, never give up hope, and don't stop believing in His awesome plan for you!